So you added the email capture form on your blog. You can sit back and hope for a massive emails pile-up of which would rarely happen. You can find out which traffic sources bring you the most email subscribers. Then focus your effort to attract more of such traffic to help you grow your email list even faster. In this post, I am going to give you a step-by-step guide on how to track your email signups using Google Analytics goals. While this post is useful for any website owner, the examples given assumed you are using WordPress. Single Opt-In vs. Double Opt-In: Which One Is Better? Tracking your mailing list sign-ups right from the start is important to measure your email marketing success. It allows you to find out which online marketing strategies are bringing the best ROI (return on investment) for your effort. You can then ramp up your effort for the particular strategies to drive even more subscribers. As you gather more data, you can run tests to improve your email sign-up conversion rates even further. For example, you can find out the exact pages or articles that are most effective in getting new subscribers and then create more similar articles. You can also track which signup forms convert the best. The post footer at the end of every blog post. The ribbon at the top which appears after the reader scrolled to 70% of the article. Scroll mat which turns any page into a full-screen opt-in form that’s displayed immediately on page load. The ‘obligatory’ opt-in widget on my sidebar. A call to action button on my About Page. 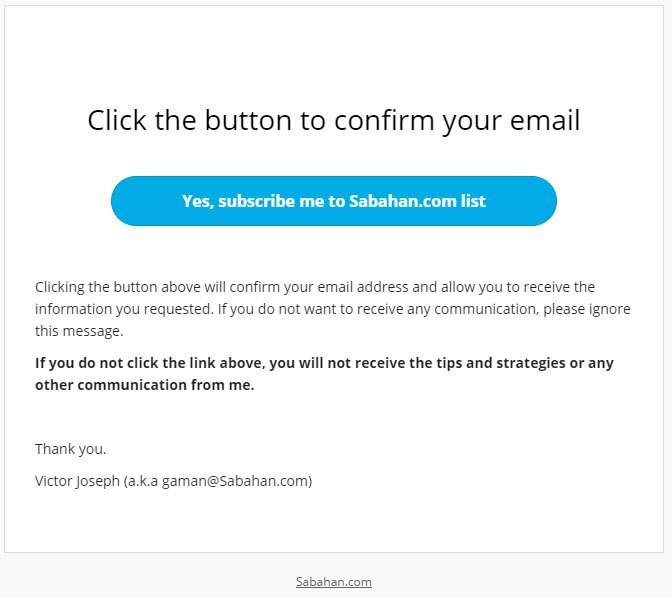 Sabahan.com shows fewer opt-in forms on mobile devices so as not to distract the user-experience. My results show Scroll Mat converts the best. Pro tip: If you want to include your signup forms on the sidebar, place them at the very top to improve visibility and sign-up rates. This is the most common location for an email signup form. The more places you put the email signup forms on your blog, the better chance you’ll have in converting your visitors into subscribers. Now, while you can use Google Analytics to track the conversion rates of each opt-in form location, I am currently using Thrive Leads to do that for me because it’s easier. Besides giving me the ability to design beautiful and conversion optimized opt-in forms quickly, it has a built-in reporting feature showing me how each form is performing. I know the conversion rates could be higher. Improving them is a continuous process. In fact I have a few ideas queuing up waiting to be implemented. So in my future posts, I’ll show you how I implement them to improve my conversion rates! If this sounds too complicated, I learned all these from the FREE Thrive University courses. They have been instrumental in helping me to be up and running faster that I could have been if I were to do it alone. Go ahead check it out. Alternatively, if you haven’t designed your own opt-in form yet, you can sign up with Sumo. Their free plan allows you to collect up to 200 subscribers. 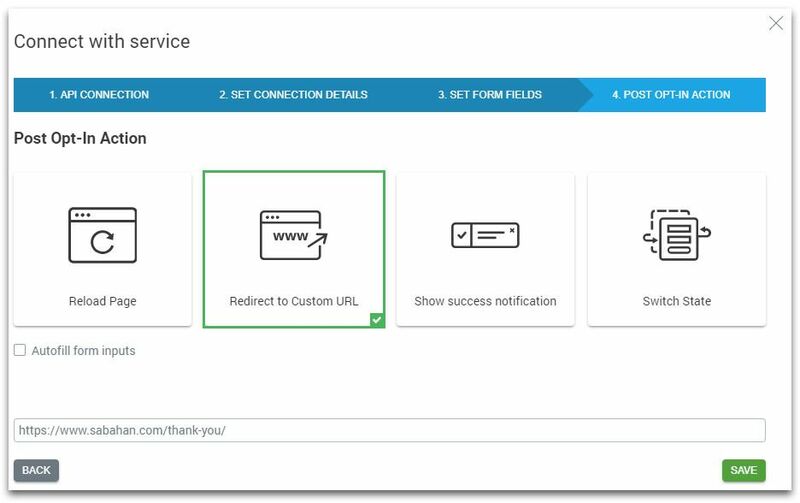 When designing your opt-in forms, there’ll be an option to connect them with your email marketing service provider. 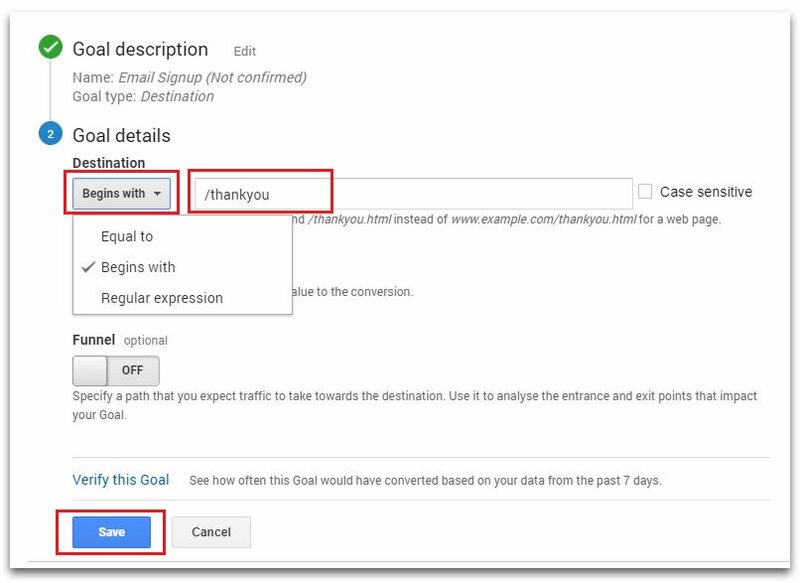 This guide is based on using double confirmation opt-in to track email signups using Google Analytics goals. Unlike single-opt-in which adds people immediately into the mailing list, a double opt-in requires the people entering their email address to click on a confirmation link in an email. Later in the article, I’ll discuss the pros and cons of each method and why you would prefer using one method over the other. First thing first. You need to add Google Analytics to your blog. Signing up for a Google Analytics account. Adding the code onto all of the pages on your blog using a WordPress plugin. You can find a detailed instruction to help you with the setup here. There are plenty of plugins you can use to add the tracking code to your blog. Some themes may even have the option built-in and therefore installing a Google Analytics plugin isn’t necessary. 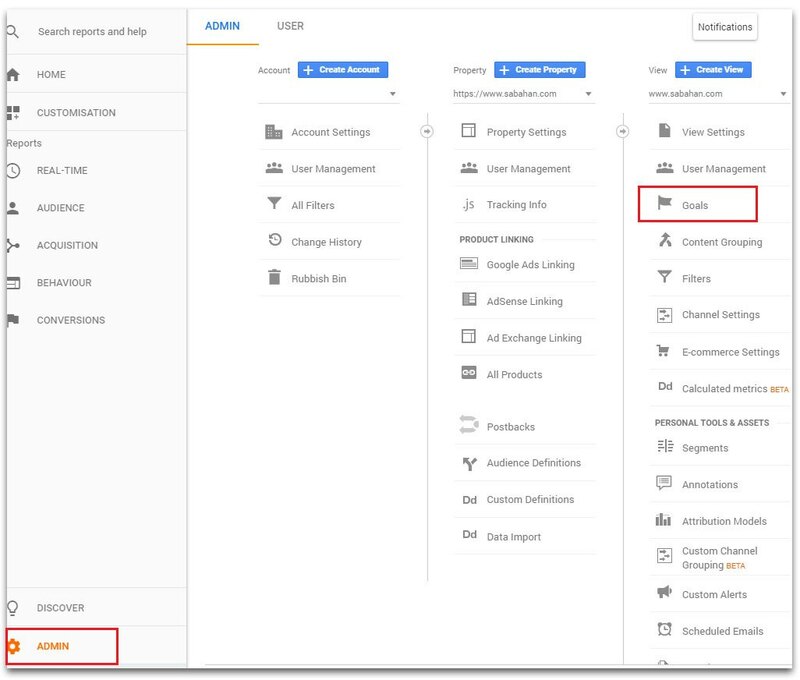 If you want the ability to access your analytics data right from your WordPress admin dashboard, you can consider installing Google Analytics Dashboard WP (GADWP). An autoresponder is an email service that sends an email or a sequence of emails to the subscribers automatically. It’s like having a personal assistant that never gets tired and never have to take the weekend off. It’s always there to guide and welcome your new subscribers. As you can imagine, you can use it to create a great experience when welcoming and integrating your new subscribers into your tribe. There are many mailing list providers offering autoresponder services. I am currently using MailerLite. It’s free to use if you have fewer than 1000 subscribers. Setting up the perfect autoresponder sequence emails involve lots of things. The email sequence can be a blogging course that gets sent every day for a week or to drum up interest to drive sales to your product or service for a couple of days before the final hard sell. I will get down to the nitty-gritty of how to set up an autoresponder in my future posts. For now, you probably just want a simple welcome email that goes out once your subscribers confirm the subscription. Sending the right message in a welcome email is crucial. It sets the stage whether new subscribes will open and engage with your future emails or ignore them. It’s the first friendly engagement between you and your subscribers and it’s your chance to earn their trust and tell them what to expect in future emails. Most people use it to send out freebies, PDF, templates or whatever opt-in incentives promised earlier in exchange for their email address. Once you set up your autoresponder email, the next step is to create a Thank You and a Confirmation page on your blog. Your goal is to lead people to your Thank You page. Their final destination is your Confirmation page. When they land there, you have achieved your final conversion goal. If you are using a single opt-in method, your goal completes when the subscribers land on your Thank You page. However, we are using the double opt-in method which involves some extra steps. Thank You page – visitor gets redirected to the Thank You page. 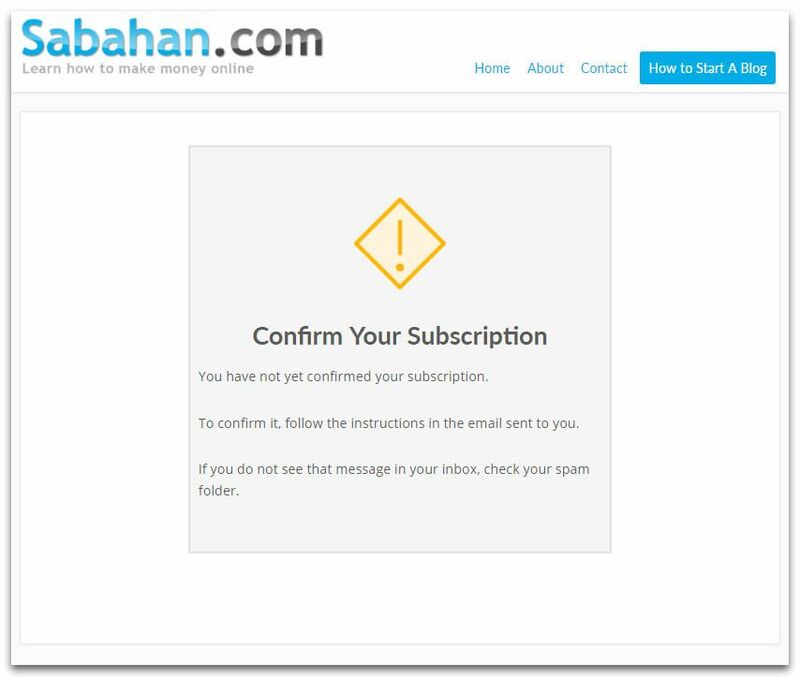 Confirmation email – your autoresponder sends the confirmation email to the visitor. 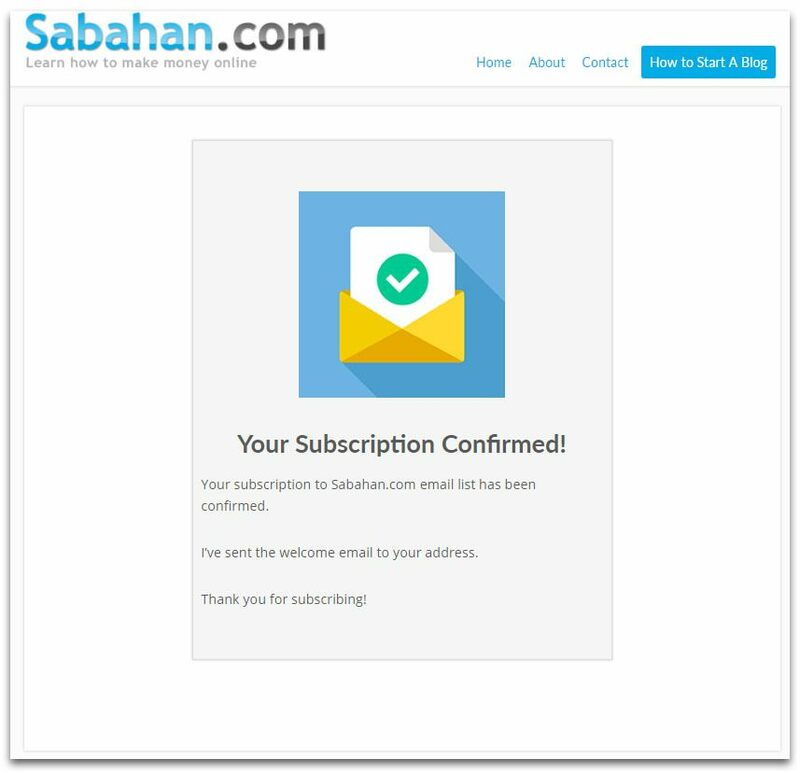 Confirmation page – visitor confirms their address and is directed to the Confirmation page. The subscribers will be forwarded to the Thank You page after they submit the opt-in form. This page can be a simple Thank You for Subscribing page, or a page that lets the subscriber know that they need to confirm their email address. Avoid using the default confirmation page provided by your email service provider. A customized confirmation page will work better. But it must include clear instructions on how to finish the opt-in process. If you are offering an opt-in incentive or freebies, avoid offering them on this page because the subscribers will just download it and will ignore your confirmation email. I set up mine to be as distraction-free as possible as I want to focus the subscriber’s attention to take the next step which is to click the confirmation link in the incoming email. I also reminded the subscriber to check their bulk or spam folder if they do not see the message in their inbox. The design may change in the future as I find more ways to optimize it. You know you’ll need to improve this page if you are getting terrible confirmation rates. You can expect to see 20-30% of people do not finish the opt-in process, that’s the average in the industry (I know that’s pretty high). But anything more than that, you may be doing something wrong. Keep in mind that most people are probably viewing the page on mobile so keeping it simple to get your message across is important. When designing your opt-in forms, there’ll be an option to connect them to your Thank You page. The Confirmation page is where the subscriber is directed to once they clicked the confirmation link in the email. All the email service providers like MailChimp, MailerLite, GetResponse etc provides a default confirmation page which is hosted on their server. Don’t rely on those as the standard confirmation page is very basic! 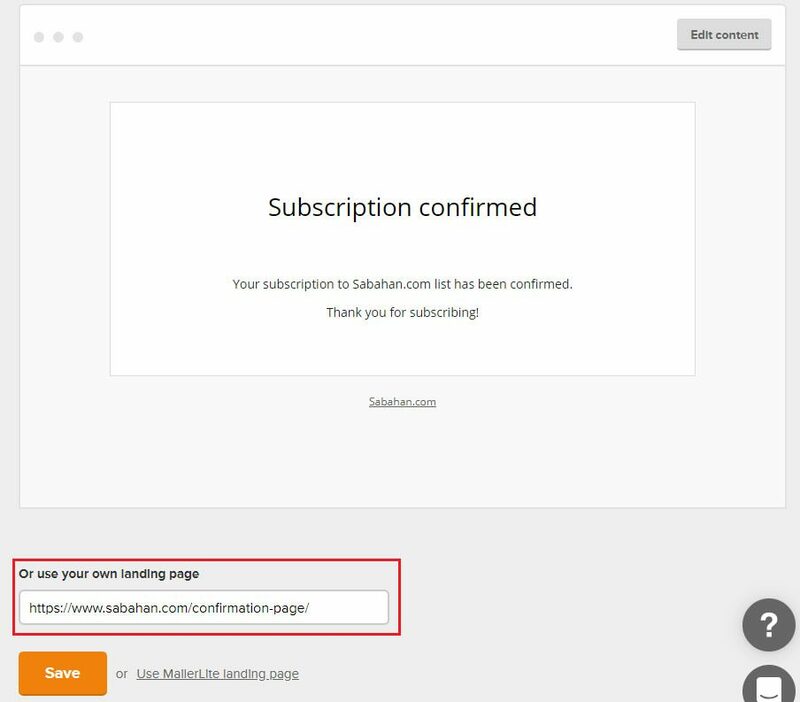 I highly recommend you create your own confirmation page so that you can track your email signup conversion and customize the page for extra engagement. Next, you should tell your email service provider to use your page instead of theirs. For MailerLite, this setting is located at Subscribe settings > Confirmation Thank You page. This is the page where you can give access to the opt-in incentives promised earlier if you have them. Or you can include those in the welcome email. Since the visitor has confirmed the subscription, you can experiment with many things here to encourage engagement or drive more traffic to your blog. For example, you can ask your new subscriber to tell all of their friends about your blog. By signing up for a free GoViral account. The idea with GoViral is you can offer additional cool goodies to your new subscribers in exchange for sharing your site with their friends. Once you signed up, just follow the prompts in GoViral to create your “Share this to get the freebie” page. Here’s my current Confirmation page. It’s pretty minimal. The content may change in the future though. Now that you’ve created your Thank You and Confirmation pages, you need to ensure that nobody can stumble upon them accidentally as this will mess up with your goal tracking statistics. Hide them from the search engines. Hide them from your blog search result. To hide your Thank You & Confirmation page from the search engine, you can install SEO plugins like Yoast SEO. On the page you want to hide, scroll down to the Yoast SEO section. Click on the Advanced icon and then select No from the drop-down option. Do this to both your Thank You and Confirmation page. Next, you’d want to hide those pages from your blog internal search. You can install the Search Exclude plugin to help you with this. All you have to do to exclude the pages is check the “Exclude from Search Results” check box on the right of your editor. If you provide access to your opt-in incentives in your Confirmation page, you’ll need to make sure the URL is not easy to guess. Otherwise, people will be able to download your incentives without signing up just by guessing your confirmation page URL. I choose two separate goals for my email list signups tracking because I want to see how many people actually confirm their email address after submitting the opt-in form. If I have 10 signups per day, but none of them confirms, my actual conversion rate won’t be accurate. Setting up your goal tracking with Google Analytics is actually pretty straightforward as you’ll see next. In Google Analytics, click Admin on the left panel, then the Goals menu. Add a name for your conversion goal and for the Type, select Destination and click Continue. This will be your first conversion goal which will be achieved when visitors land on your Thank You page. Under “Destination“, select “Begin with” from the drop-down menu. Then add the URL for your Thank You page. Make sure to include the forward slash at the beginning and omit your domain name. For example, if it’s https://domain.com/thankyou, then just enter /thankyou. Repeat the steps again for your Confirmation page. Here’s how my goals look like currently. That’s it! You are now ready to track email signups using Google Analytics goals. Just give Google Analytics a few days and a few sign-ups to start getting your data. Once you’ve received several newsletter sign-ups, you can start finding which traffic sources bring you the most subscribers or which blog posts convinced the visitors to give out their email address. It appears that at the time of writing, I get the most email subscribers from referral traffic (visitors arriving from other websites), followed by traffic from the social media. If you want to find out which social networks convert the best, click on the Social link as shown above. In the Social section, you can see all the users coming from the social networks. It’s not a surprise I get most of my email subscribers from Facebook since I got more traffic from them at the moment. However, the email signup conversion rates from Quora traffic is more than double than that of Facebook. This tells me I should continue my focus to attract Quora traffic if I want more email subscribers. On a side note, you can learn how to use Quora to drive traffic to your blog here. To see which traffic source as a whole (domain) refer visitors who convert into email subscribers, look under Acquisition > All Traffic > Referrals. To separate the goal from all other goals, select your Email Signups goal under the Goal Option drop-down menu. This will show the steps (up to 3 levels) your visitors take before they sign up to your mailing list. You can use this information to find out which blog posts lead to the most subscribers. If you have multiple landing pages (squeeze pages), you can find out which ones produce the best conversions. The difference between single opt-in vs. double opt-in is that double opt-in requires the subscribers to confirm their email address before they can join the mailing list. Single opt-in adds the subscriber’s email into the email list immediately after they submit the opt-in form. No confirmation is necessary. Each method has its own pros and cons. People can’t sign-up using fake email addresses as a confirmation is required. You have a more engaged list because people on the list really wanted to join in. Your subscribers are less likely to report your emails as spam. Improve your sender reputation and email deliverability. Your subscribers number is more accurate as it represents interested people. It ensures you have a quality mailing list. Some subscribers may forget to click the confirmation link. Sending a lot of email in a short space of time can turn off new subscribers. Simpler to set up for the marketer. People entering fake emails just to grab your opt-in incentives. Legal compliance issues in some countries. A study conducted by GetResponse says while single opt-in appears to be better from the start, double opt-in is the better choice long-term. They found the single opt-in conversion rate is worse than that of the double opt-in. 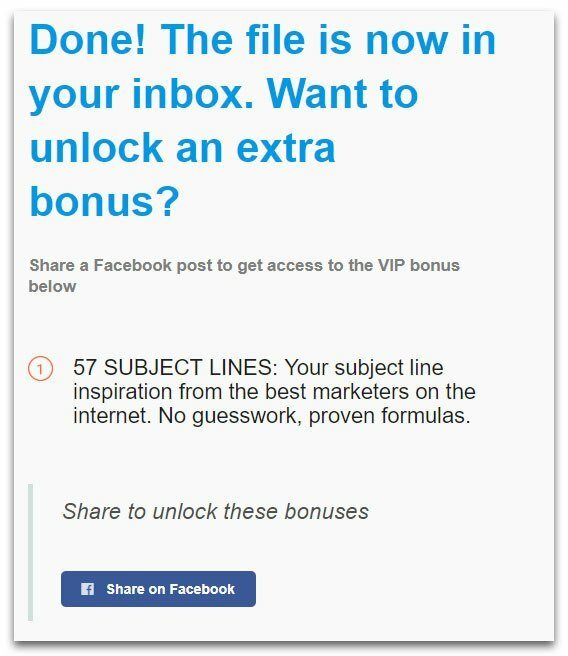 Double opt-in emails also get higher click-through rates. That said, the best method will depend on your situation. You’ll have to test it for yourself to decide which method will work best for you. Some people claim single opt-in can work well too. You just need to send the right welcome message and actively clear out inactive/invalid subscribers in your email list. 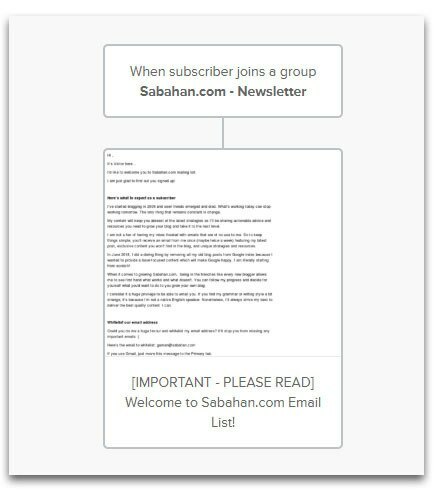 As for me, I’m currently experimenting with the double-opt in for Sabahan.com mailing list. 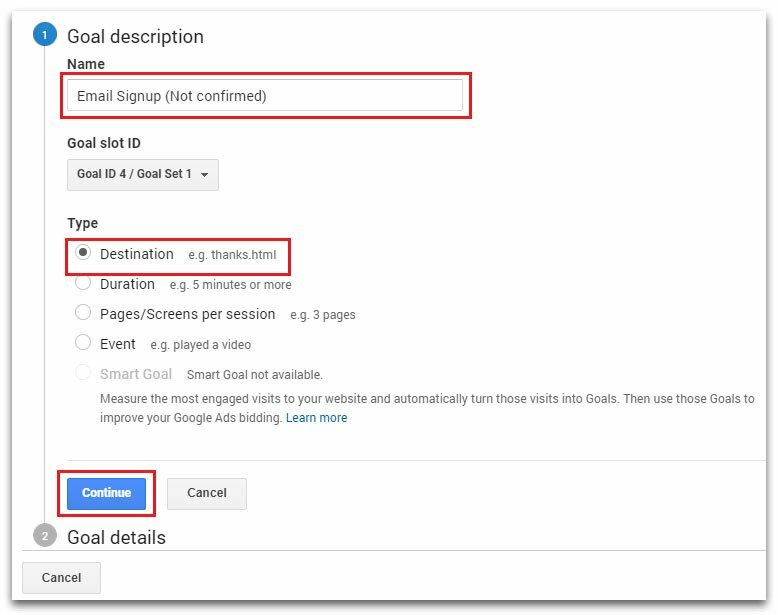 Armed with this information, you can now start to track email signups using Google Analytics goals to improve your email marketing ROI. By focusing your effort on attracting only the right kind of traffic or creating the right content, you’ll be working more efficiently which will grow your email subscribers count even faster. If you are already using Google Analytics goal to track email signups in your blog, what traffic or content that lead the most sign ups for you? I was wondering about the single vs. double opt in option. Thanks! Single vs double opt in each has its own pro and cons. Recently the email service provider that I am using got hit by some email delivery issues. The main problem stemmed from certain accounts on their server who did a poor job maintaining clean subscriber lists. As a result, they hit too many spam traps while sending emails to purchased databases or old inactive email addresses. It such case, it’s worth pointing out the importance for everyone to keep a clean subscriber list and follow best practices, such as double opt-in when building your list. Anyway, glad you find the info helpful Minda. This is a super resource. I haven’t utilized all of these strategies yet, so I’m going to bookmark it for reference. Thank you. Glad to know you find the email marketing tips useful. Thanks Kris!